Emotion regulation is the ability to control one’s emotion so that the response to the environment is socially appropriate. Emotion regulation is important because when children enter school and meet new friends, they need to control their emotions and better express their feelings in order to get along with their peers and behave well in a group setting. Below, we’ve highlighted one way of teaching emotion regulation. Please note that there are other ways to achieve the same goals and different children might respond to other techniques. Scenario: Your child suddenly screams in a crowded and noisy bus. Once your child stops screaming, ask him calmly what is wrong and how he feels. If your child can describe what happens, even with just a few words like “too loud”, help him to complete the sentence to explain the situation. 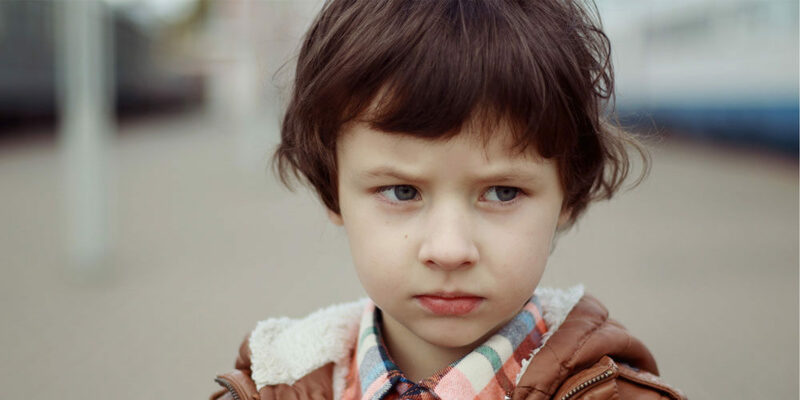 “You feel scared/angry/upset because it is too noisy.” If your child cannot describe his feeling and/or give an explanation, simply make an educated guess, “Are you scared/angry/upset because it is too noisy?” Wait for your child to respond. After knowing what is going on, teach him a more appropriate way to show his feeling and get his message across. In this case, you can teach him to cover his ears and close his eyes and model verbalising his emotion. Remember, if your child is able to follow through, even only partially, PRAISE HIM! Some activities can be done on a daily basis to express positive and negative emotions.